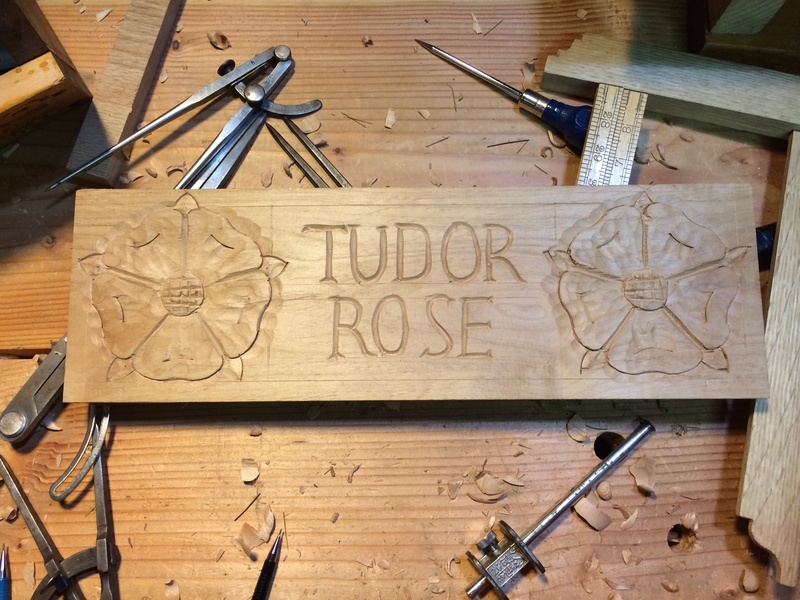 In preparation for the Class this Saturday, I refreshed my memory on carving the “Tudor” style rose. I completed my carving sample board last night, and I think it turned out pretty well. I was originally going to do a row of roses, but in the end I did two flanking roses and free-handed some lettering in the center. I also snapped some step by step pictures along the way for my hand out. Once I get something share-able I’ll probably post it to the blog as well as these flowers are a lot easier than they look. 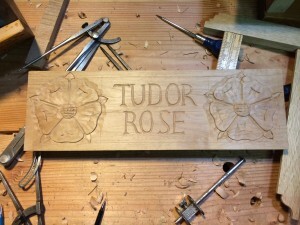 Plus they are great practice for nearly all the basic flat relief carving motions and skills. If you’re around North Seattle on Saturday I’ll be in the back of Rockler store if you want to drop on by. Also, I think there are spaces still open in the class if you’re interested.